Sometime in the early 2000’s, people stopped asking me whether or not I wrote on a computer. Before that, there was still some expectation that a writer should labor over a manual typewriter, or perhaps a legal pad, wearing pencils down to a stub. The entire act of literary creation was steeped in mystery and romance—it was voodoo, really, a kind of ritual bloodletting. Computer use was new and controversial—people wanted to know what side I came down on. 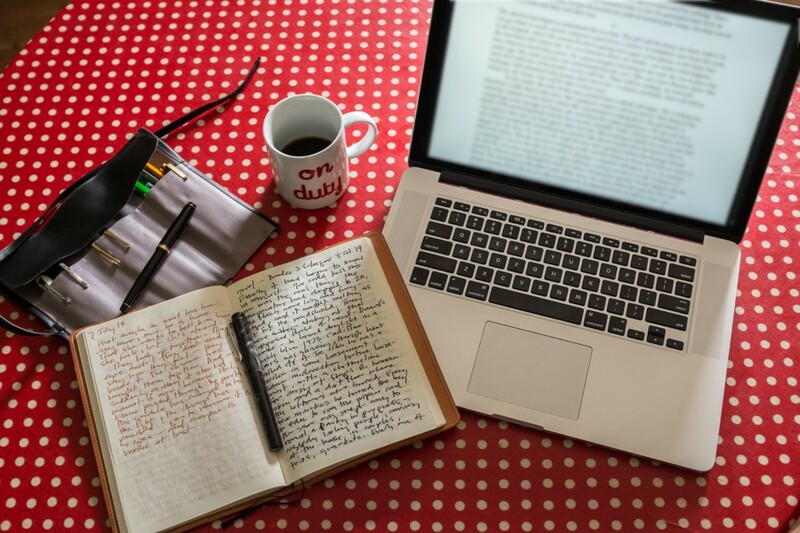 But all that changed with the rise of the laptop and the MFA program, two tools that demystified the writing process and made it available to more people. The former allowed anyone to create a literary work that, if nothing else, looked professional; the latter seemed to offer formal training and certification that turned any hack writer into something a little bit tamer and more authoritative: an “author.” Now everybody assumed you had a writing degree. 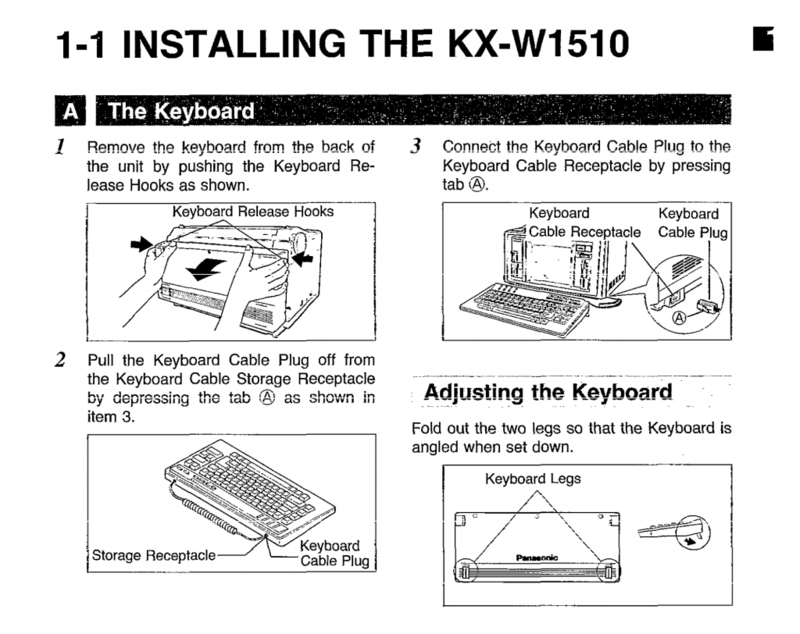 Everybody assumed you were using a computer. I came to miss those old questions, the ones that seemed to come largely from people who merely liked to read, for whom the idea of writing anything more complicated than a thank-you note might have seemed an insurmountable task. These days, most of the questions I get at readings, conferences, and the like come from people who are writers themselves, or are trying to be. How can I get into your school? Do you know anybody at The New Yorker I can send this to? Would you read something of mine? How do you get an agent? Not only have fiction and poetry writing become more egalitarian, less resistant to entry—publication has, too. If you don’t mind eschewing print (and money, of course), you can publish in any number of online journals. You can post your work on a blog or on an internet messageboard. You can self-publish your ebook. Your print book, even, for a price. Everybody’s a writer now. Though a lot of us have wrung our hands over the death of the old-school gatekeepers, I think these changes are, broadly speaking, a good thing for the literary world. A culture more engaged with writing is one that any writer should want to be a part of. But among the things we seem to have lost is the idea that writing is a dark and unfathomable process. The irony, of course, is that it still is—it’s the same as it’s ever been. The technological ease of its production is largely illusory—our methods for making it are as arcane and diverse as ever, even if we’re all ultimately using Macbooks to push it out into the world. I’m a fairly technically inclined person, so I’ve always liked up-to-date writing tools. I loved my parents’ Royal upright typewriter when I was a child, and graduated to a humming Selectric (or maybe it was an Olivetti) in high school. I wrote my first abortive college novel on a glorified electric typewriter with a little LCD preview screen, and my first published novel on a standalone Panasonic word processor (I’m pretty sure it was the KX-W1510) with a built-in clackity printer that shook the pressboard buffet table it lived on. I’ve since composed with WordPerfect on a greenscreen IBM, and on the earliest Macintoshes; I wrote my novel Mailman on a Toshiba laptop as thick as a turkey club sandwich and now use good old bloated Microsoft Word, fullscreen and in “focus” view, on, yes, a Macbook Air or Pro. For the most part, my work is, or has been, tool-agnostic—the theoretical ideal is for the tech to disappear and the words to transfer from brain to page without resistance. But lately I’ve gotten kind of throwbacky. It’s not the first time. In the early 2000’s, when the computer was taking over as the default writing tool, I tried drafting a novel with pencil and paper—it would eventually be published under the title On the Night Plain. The book takes place in the 1940’s, and I wanted to try using period tech. The second draft was typed up on an Underwood that I still own (though several generations of mice have tried living in it since, rendering it inoperable), and it wasn’t until the third that I finally transferred it all into a computer. I edited those early drafts with a red pen, at times literally cutting and pasting in the time-honored manner, with scissors and glue stick. I was all digital for another decade after that, and then this past winter, vexed by professional obligations that had nothing to do with writing and that were haunting my digital life, I hauled out my old fountain pens—a couple of cheap Sheaffers, of the sort my wife and I used to use in the early nineties, and two Mont Blancs, one a college graduation present from my grandfather, the other inherited from him when he died. I had also received a Lamy Safari as a gift from a student of mine, but hadn’t got around to using it. 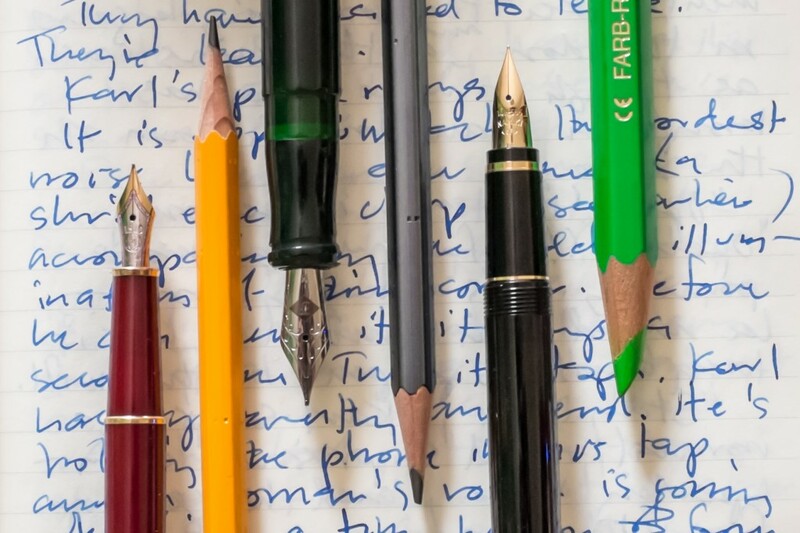 I looked these pens up on the internet to remind myself how to put ink into them, and discovered the sprawling online world of pen, pencil, and stationery enthusiasts. The bookstore at the college where I work started stocking Rhodia pads and journals, and I started listening to the Pen Addict podcast. I also befriended some younger writers who encouraged me to join them at coffee shops for writing sessions. I hadn’t done this—working with others—for a couple of decades, and at first felt weird and exposed. But it turns out that there’s nothing that motivates quite like the sight of your friend covering pages with ink. Are you going to sit there like a loser, with your blank page? No, you are not. I don’t typically use the Seven Seas Writer for note-taking or list-making—for that, I’ll generally use a Field Notes. I like the ones with the newer, thicker paper—the America the Beautiful edition, or the new Shelterwood. When I’m teaching, I generally have a fresh page of an A4-size Rhodia pad in front of me (ideally a wire-bound dot grid, but I’ll use whatever the college store has in stock), clamped to an aluminum legal-size clipboard I custom-cut to fit A4; because I’m bad with names (which is another way of saying I’m lazy and inattentive), I jot down the name of anyone who speaks and make a note on what they say, in case I need to refer to it later. A student recently suggested that I write down whose hands go up and in what order, so that nobody gets left out; I do that now, too. In class I’ll use a rollerball pen, usually my Retro 51 Tornado or Karas Kustoms Retrakt, as this kind of writing is intermittent, and might cause a fountain pen nib to dry out. Much is said about the portability of new laptops, particularly the Macbook Air. But I’m finding that I am much more likely to pull out a notebook and pen from my bag in public than I am a laptop—indeed, I’m more likely to bring them with me in the first place. 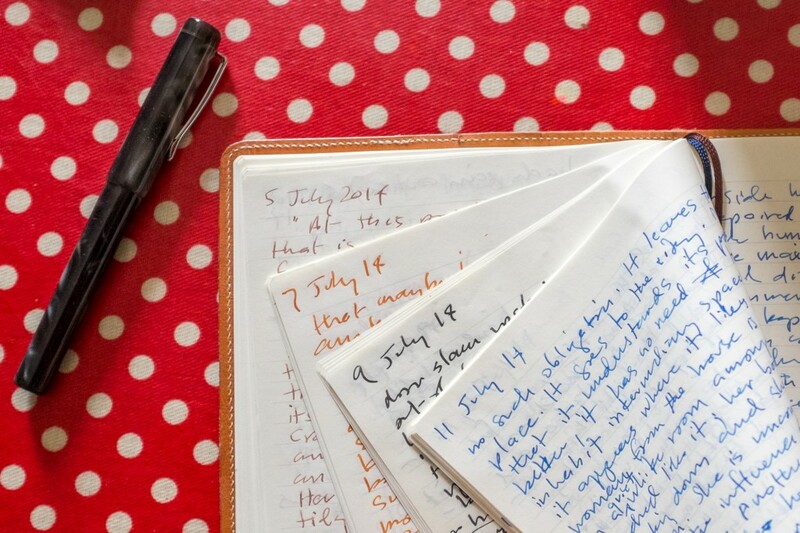 If you’re never without a notebook, you’re always open to the possibility of writing. And analog tech has also freed me from the idea that I’m writing something important, official, or canonical—my crap handwriting makes me feel as though I’m just fooling around, which, ultimately, is how a lot of my best ideas are generated. In other words, I’ve spent my entire life attempting to professionalize my passion—and now that I’ve succeeded in establishing a publishing and teaching career, I’ve backtracked, to try to make it seem like a hobby again—the way it felt in my youth, before I had a laptop or MFA. I’m still waiting for people to start asking me at readings about my favorite pens and paper—but since I’m clearly not the only writer rediscovering the pleasures of an analog workflow, it’s probably inevitable.